Hot melt hoses carry the economy hot melt adhesive from a melting location to a dispensing location. 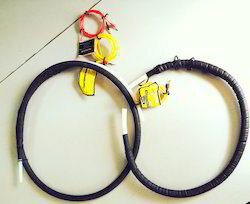 These hoses are wound with a wire that heats the core and allows the adhesive to be pumped with ease. 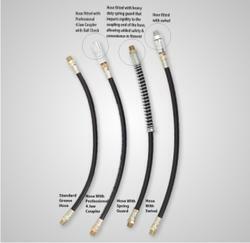 To learn which hose may be right for you, contact one of our product specialists today. We are engrossed in manufacturing, supplying, exporting and trading a wide range of Heated Hoses. Applicable in paper mills, chemical transfer, corrugated cardboard lamination, automobile manufacturing, packaging industry, photographic development solutions, these hoses are widely demanded across the national and international markets. Also, these cables are offered in different specifications to suit the demands of clients. 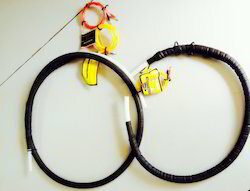 Features of our heated hoses: All our heated hoses are constructed using the highest quality materials and are designed to be flexible and strong. They are able to withstand high temperatures and pressures. All our heated hoses are sheathed with heating elements and contain temperature probes to ensure the fluid viscosity is maintained over long distances.